We’re a boutique candy company and social enterprise based in New York City, specializing in handmade lollipops with ingredients that support a healthier lifestyle based on your Ayurvedic dosha. Every single thing we make is measured, cooked, poured, wrapped, and packaged by a real person, using the best ingredients we can find. 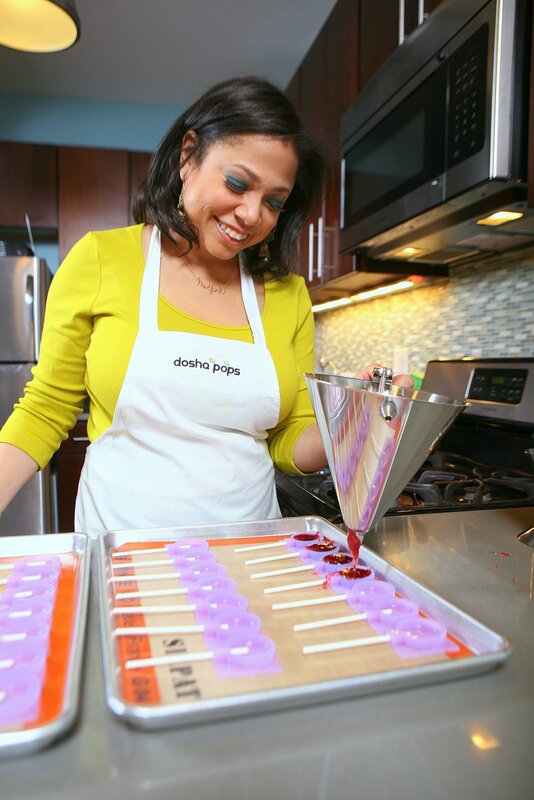 Dosha Pops was founded with the idea that candy shouldn’t have to be such a guilty pleasure but more a celebration of a balanced lifestyle with healthier candy indulgences. We’ve set out to create sweet, delectable treats that not only awaken your taste buds with uniquely amazing flavors, but to also support your specific dosha and to use some of the proceeds for worthy causes and charities that help improve human well-being. One of the primary components of an Ayurvedic lifestyle is regular consumption of herbal teas. It’s also the pillar ingredient for these artisanal lollipops that are infused with herbs and spices. Our herbal tea recipes blend the flavors of these different botanicals with the most highly regarded Ayurveda spices — such as turmeric, ginger, and cardamom to name a few — resulting in a variety of herbal infusions that are great for your health and tastes great too! 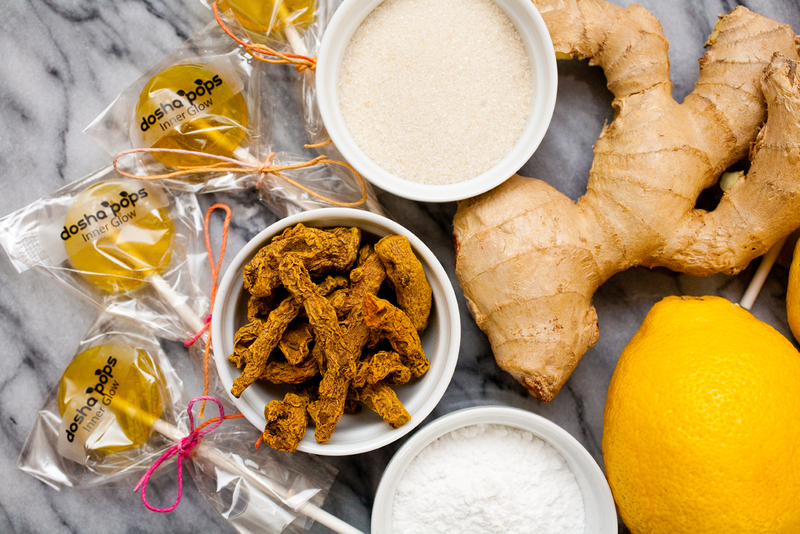 We care deeply about and are committed to the quality and consistency of all Dosha Pops products, so we hope you enjoy every drop of love we’ve put into our offerings.